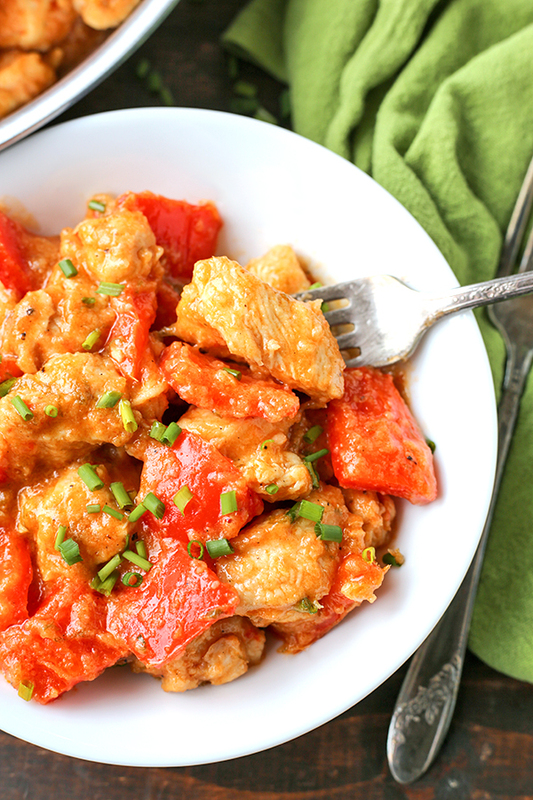 This Paleo Whole30 Sweet and Sour Chicken is a meal the whole family will love. A homemade sauce that is sweetened with only fruit and comes together quickly. 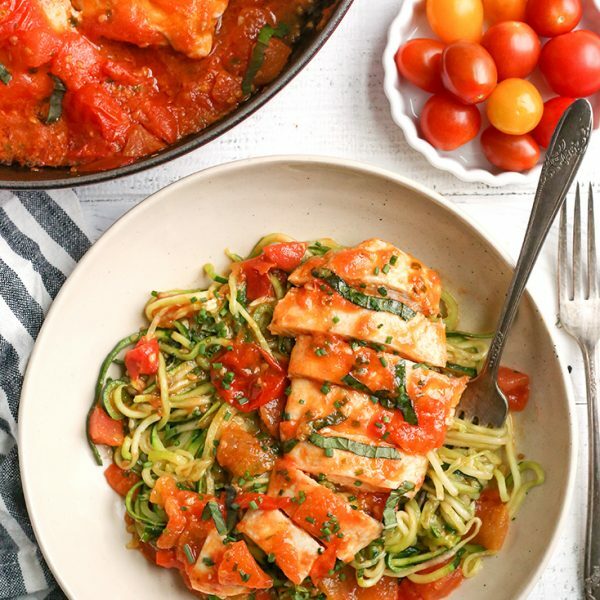 A heathy, easy meal that is gluten free, dairy free, and low fodmap. 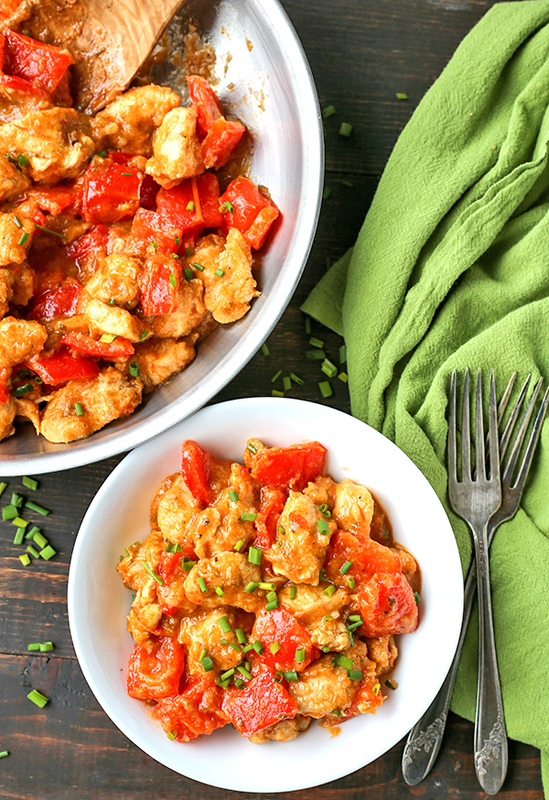 I used to make sweet and sour chicken for my husband when we were first married. It was chicken pieces coated in corn starch and cooked, then a jar of sweet and sour sauce (gasp!) was poured on top. There was also peppers and pineapple involved. Yeah, so things have changed a bit and there is definitely no jarred sauce being used here!! This uses all real food ingredients and the sauce is sweetened with pineapple so you still get that flavor. It’s way healthier and still super easy! I’ve had a Whole30 Sweet and Sour Sauce on my site for a while to pair with my Egg Roll in a Bowl, but I haven’t shared a recipe with it paired with chicken. I actually adapted the sauce to make it low fodmap by leaving out the dates, using green onion in place of regular onion and garlic oil in place of garlic powder. It turned out so good and I couldn’t believe how much it still tasted like sweet and sour sauce. If you’re not following a low fodmap diet then you can use either sauce. Once the sauce is made, dinner comes together quick. Sauté the peppers, then the chicken, add the sauce and cook until thickened. 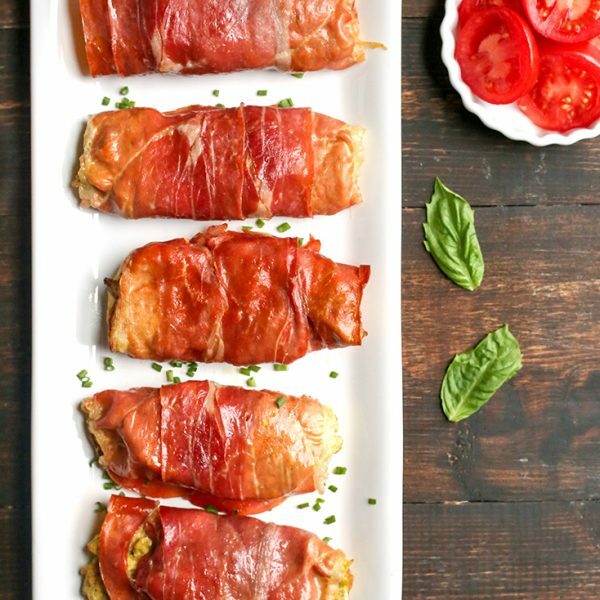 You can even make the sauce ahead of time for an extra quick dinner. 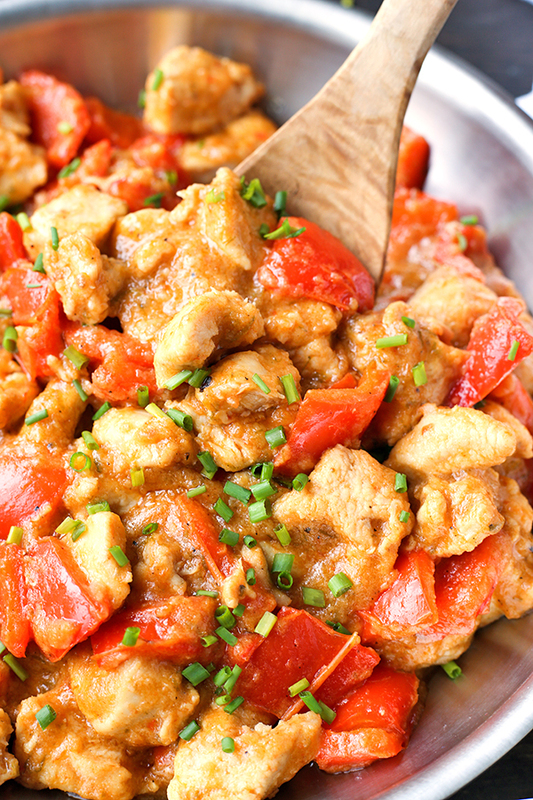 This chicken is saucy, flavorful, and tender. My husband loved it just as much, or more, cold. So it would make a great packed lunch or food for the road. It’s very family friendly and even my 2 year old liked it. 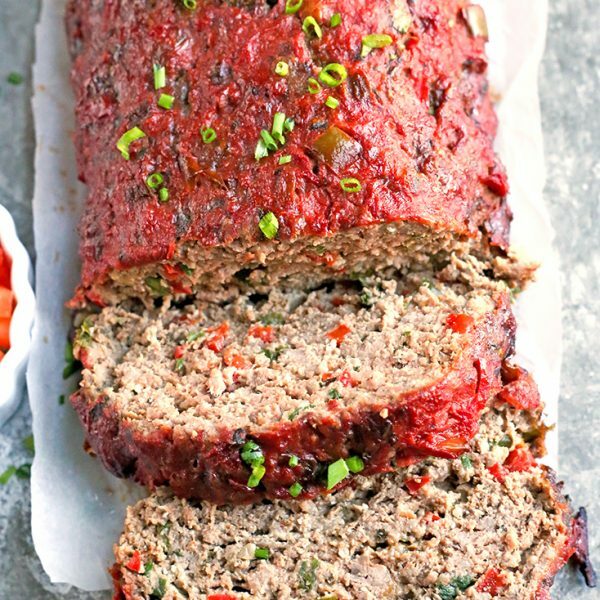 This could be served with cauliflower rice (not low fodmap), organic white rice (low fodmap, but not Whole30), or or even make a lettuce wrap with it. Enjoy! 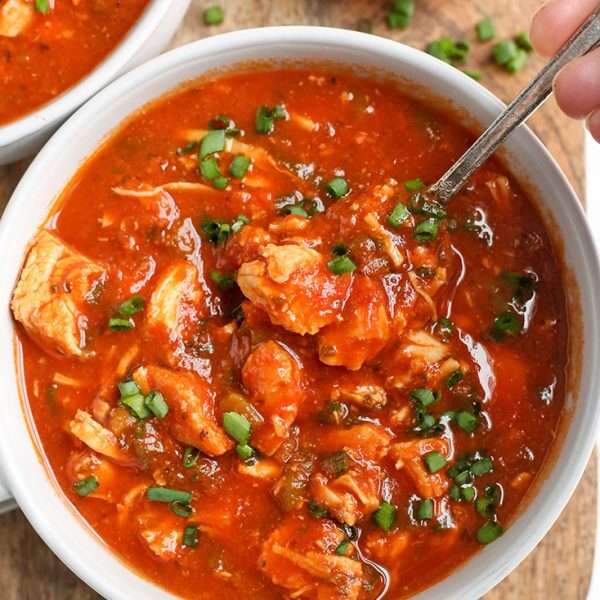 Here are some more recipes you may like: Paleo Whole30 Chicken and Broccoli, Paleo Whole30 Cauliflower Fried Rice, and Paleo Whole30 Beef and Broccoli. 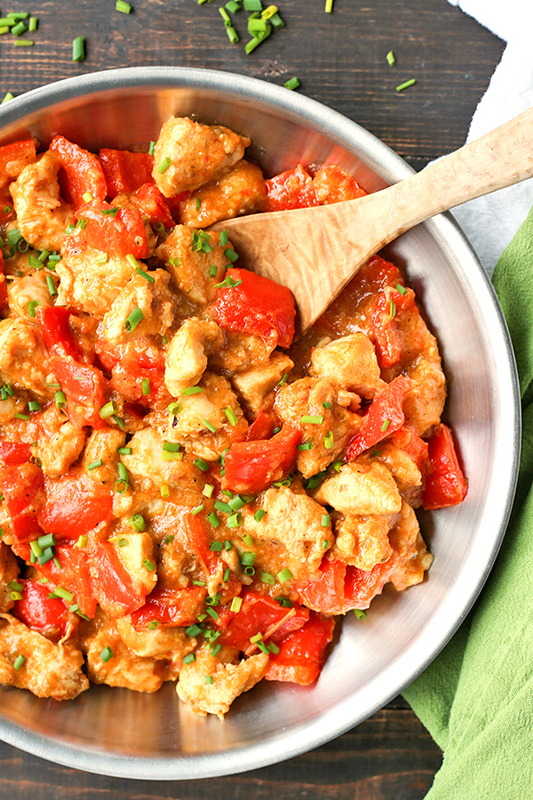 In a small sauce pan, combine the green onion, pineapple, garlic oil, coconut aminos, tomatoes, water, and salt. Cook over medium heat for 10-15 minutes, until onions are softened. Turn off heat and blend with an immersion blender. Tuen the heat back on to medium and cook another 5 minutes, or until desired consistency. 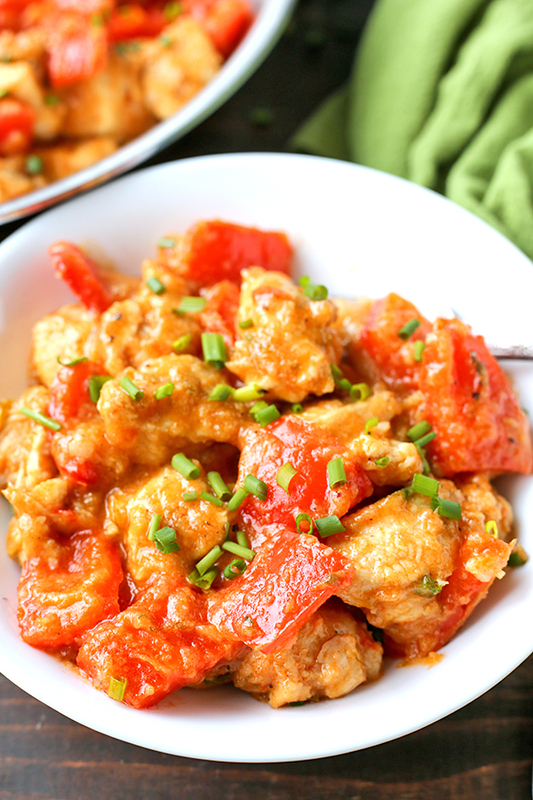 In a large bowl, toss the chicken chunks with the cassava flour and salt. Coat them as evenly as possible. In a large skillet add the oil and cook the peppers until tender- about 10 minutes. Remove from the skillet onto a plate while the chicken cooks. Add more oil if needed and add the chicken to the skillet. Cook for 10 minutes, flipping as needed to cook all sides. Add the sauce and the peppers and cook for 10 minutes. Until chicken is fully cooked though and sauce has thickened. 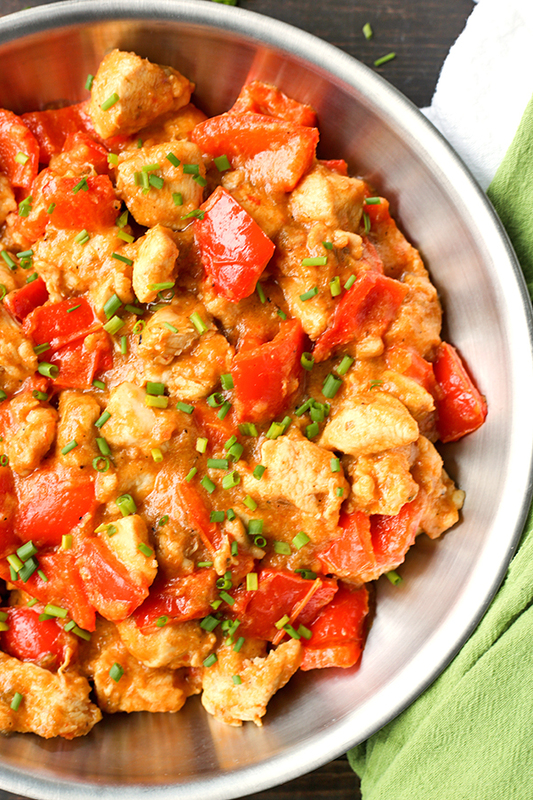 *Make sure to only use red, yellow, or orange bell peppers to keep it low fodmap. Green are not allowed. *If not following a low fodmap diet, you can use garlic powder in place of the oil and sliced onion with the peppers. I am planning on making this, but don’t have cassava flour on hand. Would arrowroot flour or tapoica flour work as a replacement? Thanks! Hi Claire- yes, you can use either, but use half the amount. Hope you love it! Do you think potato flour would work? My daughter has a lot of allergies and am nervous to try arrow root or cassava flour, but I know potato will be fine. I’ve never used anything but regular flour but we are moving more towards whole 30. Thanks for these wonderful recipes! Hi Diana- yes, I think that would work great. Hope you enjoy! I don’t have an immersion blender. What would another option be? Hi Kristin- you can use a blender to food processor as well. Just not as easy!